When visiting the shops please bring proof of your employment or student id. If you prefer we can invoice you, please contact us by email armadillo.toys@virginmedia.com to arrange an account. 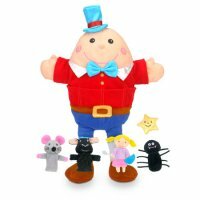 Armadillo Toys is an established independent retail toy supplier both online and through our shop in Leeds since 2003. We have always been happy to assist teachers and student teachers in our shops and we are happy to give 10% discount to schools, playgroups student teachers etc. Our extensive ranges include Fiesta Crafts wall charts (the best selling My Calendar and hand and finger puppets), The Puppet Company range of Puppets, Big Jigs Wooden Toys including their great range of Wooden Play Food, John Crane wooden Toys and Schleich animal figures, Orchard Toys Jigsaws and Games, we also have many educational games and maths aids plus much more. If you are not sure what you are looking for and want general help and advice please email armadillo.toys@virginmedia.com and we'll help you choose toys and games for your school or early years centre.